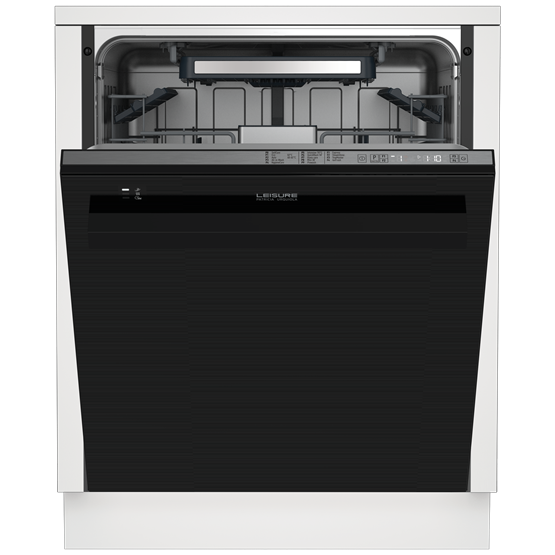 This Patricia Urquiola designed dishwasher is the perfect addition to a modern kitchen, featuring touch control buttons and a stylish hidden display at the top of the door. And, the low 44dB noise level means you'll barely hear it running, making it perfect for open plan kitchens. 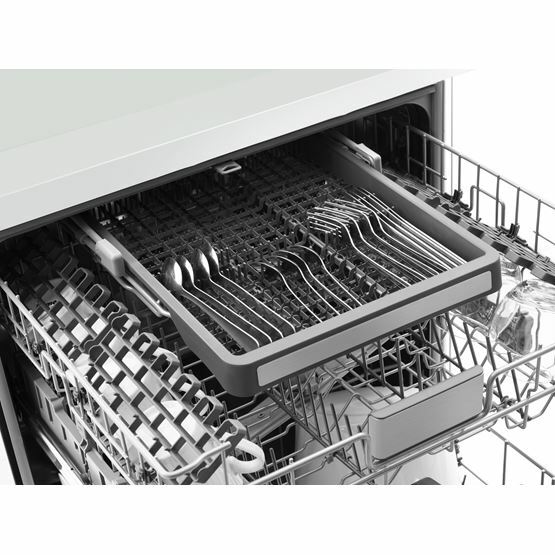 Designed to keep your dishwasher smelling fresh in between washes, IonFresh neutralises unpleasant odours in your appliance, without the use of harmful gases or chemicals. 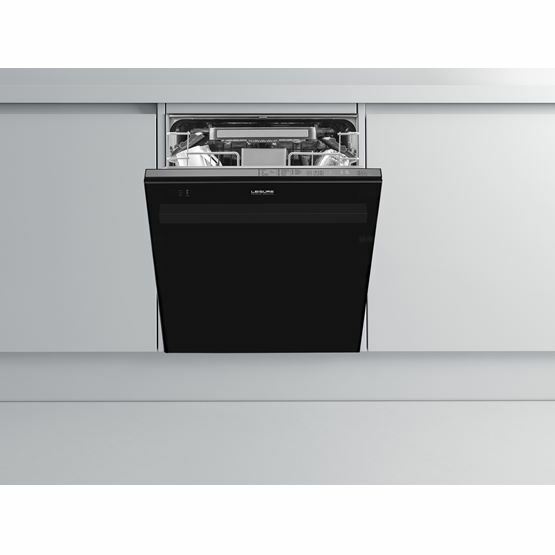 Quiet as a whisper, a low noise level of just 44dB makes this dishwasher ideal for open plan homes. 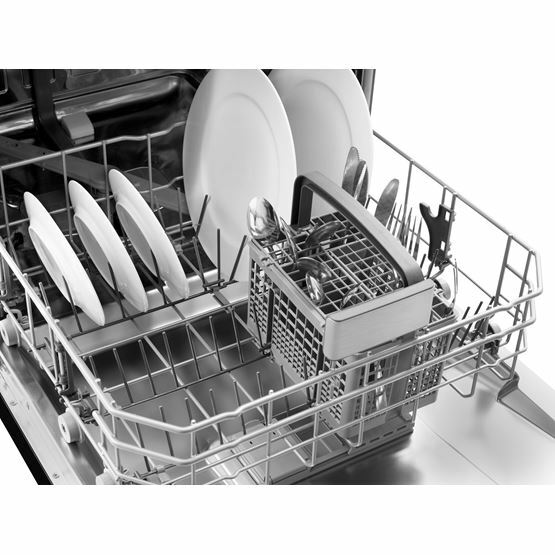 Offering fast and efficient dishwashing cycles, our quick programmes enable you to wash a full load in 30 or 58 minutes. 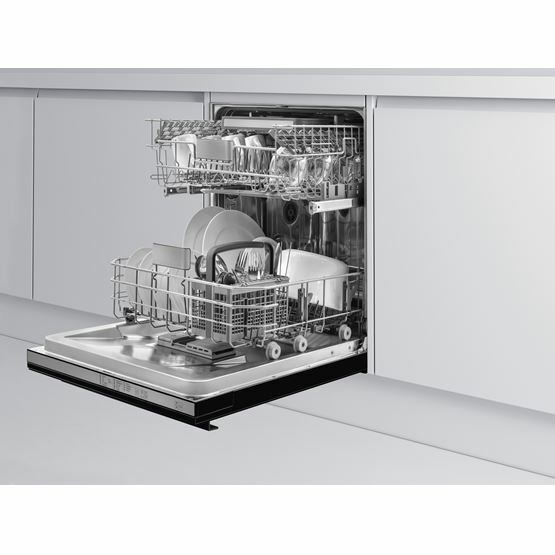 QuickWash 58’ is designed for dirtier dishes, whilst Mini 30’ can clean a slightly dirty load in just 30 minutes. 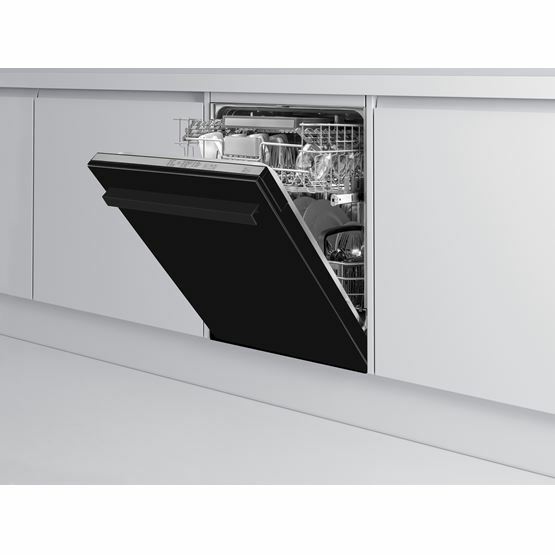 For ultimate flexibility in the kitchen, the additional cutlery tray is useful for when you have extra cutlery items to wash, or large pots and pans to fit in the bottom basket. 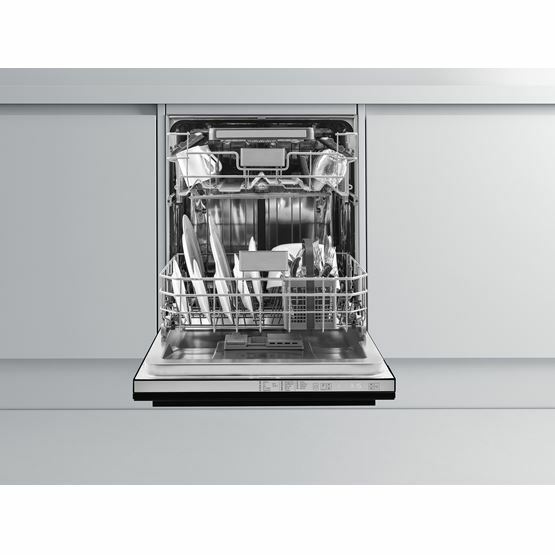 Dishwashers equipped with our Express function have the ability to shorten programme durations by up to 70% through the use of variable speed technology, provided by the Inverter Motor, and higher water temperatures. Designed with durability in mind, our Inverter Motor is highly energy efficient, and also provides quieter cycles, making it ideal for open-plan kitchens. Reassuringly reliable, the specially designed motor also comes with a 10-year guarantee for added peace of mind. Ensure your dishes leave the dishwasher perfectly clean, dry, and glossy with the special SteamShine function. 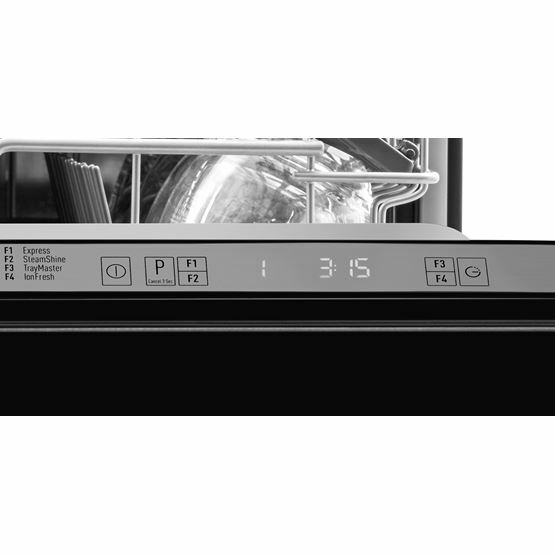 By applying prolonged heating at the end of the programme, the size of water droplets is reduced, providing more effective drying and visibly shinier dishes. Whether you’re washing oily pots and pans, or a simple set of cereal bowls, you can save energy and water with our Auto Programme, which uses sensors to expertly adjust the washing settings to the dirtiness of your dishes, using the optimal amount of energy and water. The top basket can be adjusted to create extra space for large dishes in the bottom basket, or tall glasses in the top basket – even when it's fully loaded. Good Points: Looks good. Washes well. Lots of program options. Bad Points: Crumbs etc can get trapped in tiny gap where glass attaches to door. In order to change programme you have to cycle through all of them instead of just pressing the number you want. Good Points: SHORT PROGRAM IS AVAILABLE WHICH IS GREAT WHEN POTS ARE NOT REALLY DIRTY. REALLY GREAT RESULTS OVERALL FROM A QUIET MACHINE.